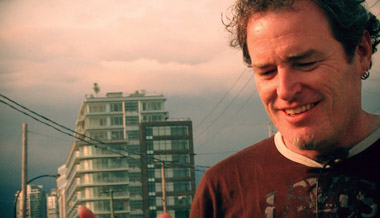 Don Cowie is the lead pastor of Mosaic in downtown Vancouver, Canada. He has lived in Vancouver for over 20 years, serving and being served by community. He had the incredible blessing of being part of the emergence of Alpha, Out of the Cold and various other ministries at Tenth Avenue Church, as well as the establishment of the Lazarus Community Society, of which he is chair. He studied at Regent and maintains close ties with the college. Mosaic comes very close to what Don imagines a church can be. To this end, he is continually developing a workshop and sermon series he calls "Living as if Everybody Mattered" and is excited to bring Mosaic's unique voice to other churches. Don is married, has two great kids and a cool cat. He is ever wrestling with the badness of evil and the goodness of God and everything in the middle. Don Cowie on why the unpoor need the poor just as much as the the poor need the unpoor.